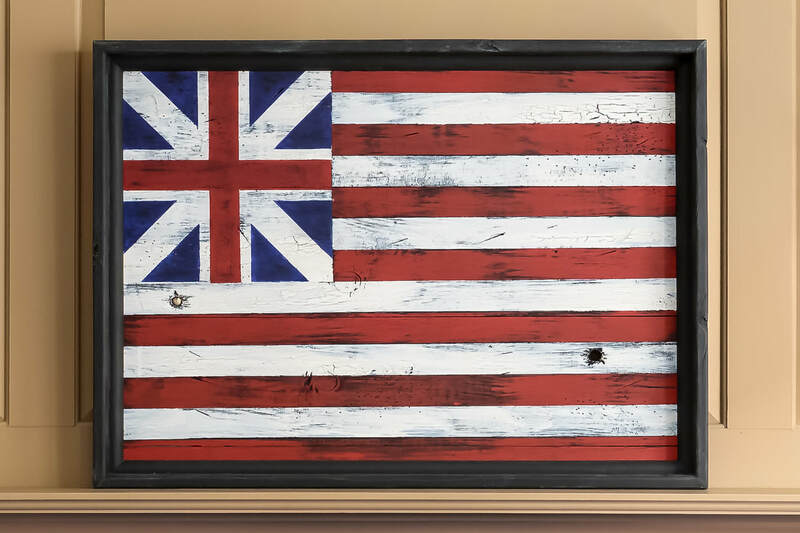 The first flag of the colonists to have any resemblance to the present Stars and Stripes. It was first flown by ships of the Colonial Fleet on the Delaware River. 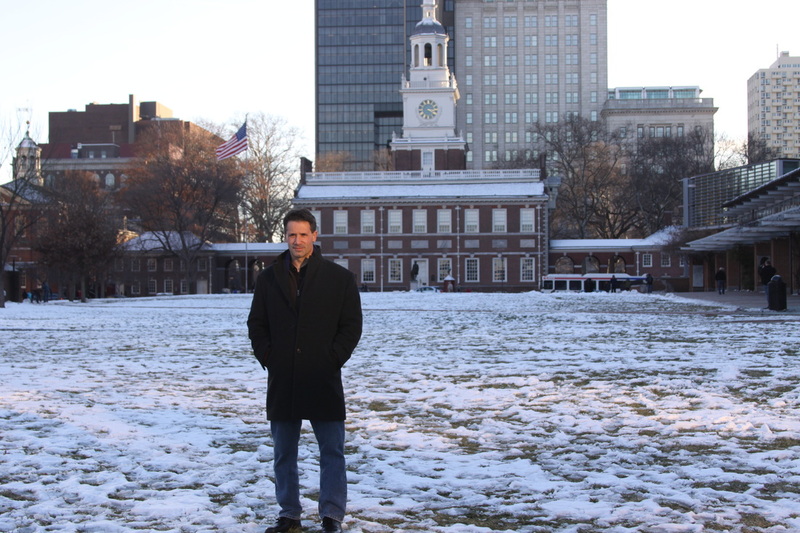 On December 3, 1775, it was raised aboard Capt. Esek Hopkin's flagship, Alfred, by John Paul Jones(The father of the US Navy), then a navy lieutenant. Later on January 1, 1776 the flag was raised by the liberty pole at Prospect Hill in Somerville, Massachusetts. This is the location where the Continental Army was summoned into formal existence. This was close to George Washington's headquarters in Cambridge, MA. 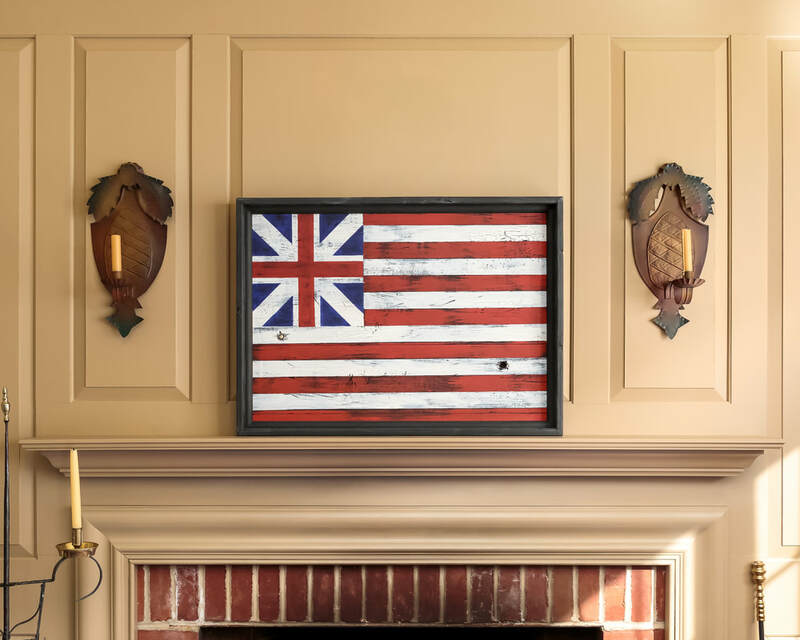 It received its' name from a reference as the "Grand Union Flag" in one of George Washington's letter. The flag was never officially sanctioned by the Continental Congress. It was the unofficial national flag on July 4, 1776, Independence Day; and it remained the unofficial flag and ensign of the Navy until June 14, 1777, when the Continental Congress authorized the Flag Act of 1777 . This created a new official national flag of a design similar to that of the Colors, with thirteen stars (representing on a field of blue replacing the British Union Flag in the canton. The resolution describes only "a new constellation" for the arrangement of the white stars in the blue canton so a number of designs were later interpreted and made with a circle of equal stars.